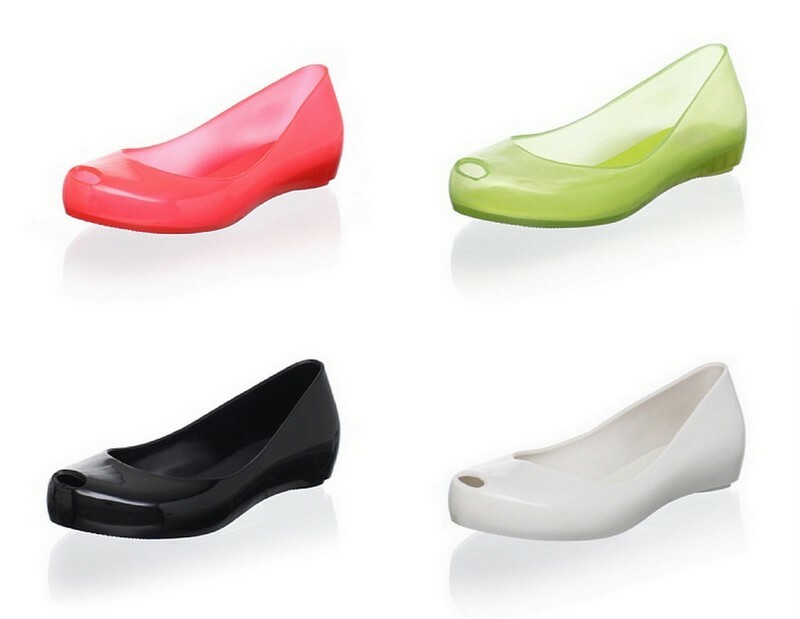 Rain shoes for older girls... these Ultragirl Melissa flats from Brazil are currently marked down from $70 to just $28 on MyHabit right now and shipping is, as always, free! They are available in sizes 13-3 in the colors shown above. The description states that they are also "sweetly scented". Hmm. Does anyone know what this means? Have you sniffed a pair of Ultragirls before? Please inform us if you have. Note: Sorry I forgot to include a link to MyHabit in the first version of this post! It's fixed now. i bought a pair for my 8 year old a few weeks ago. the lighty scented comment... think scented erasers. the shoes are rubber, but they look like they could be suede, in the case for the ones i bought for my daughter through your post a few weeks ago on amazon. the ballet flats are SO cute. my daughter loves them. the scent isn't bothersome at all. it's kind of fun!